A genuine John Deere #GX21924BLE Steering Sector Gear. Worn steering bushings may contribute to premature gear failure. Be sure to check bushings and replace if there is excessive play. 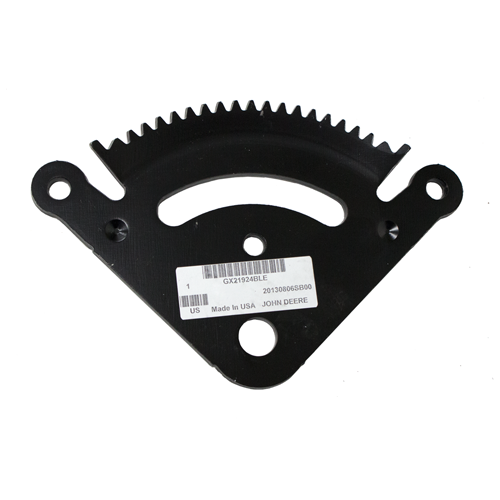 Original Equipment (OEM) part.